Autumn is upon us, and soon winter will be bringing temperatures down even further, which means one thing: sweater weather! 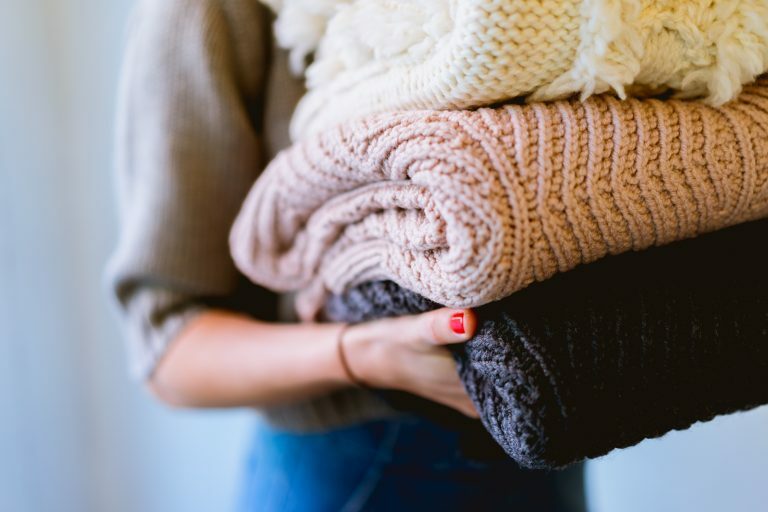 It’s officially time to stash your shorts in storage and bust out your favorite cardigans, pullovers, and wooly ponchos. Get cozy in this colder weather by layering your ultra-tall women’s clothing with a variety of long-sleeved items. We love fall and winter because the shorter days give us an excuse to cuddle up with a pumpkin spice latte and prepare for the holidays. But when you dress for colder weather, you don’t have to sacrifice style. In fact, some of our favorite fall and winter looks involve jeans for tall women, boots, and a variety of stylish layers. Layering gives you a great excuse to experiment with combining different patterns and colors. Although some may argue that bold, eye-catching designs don’t look flattering on ultra-tall women’s clothing, we couldn’t disagree more. Besides, wearing brightly colored clothes can help you beat the winter blues. Plaids are a fall/winter staple, of course, and you can’t lose pairing a plaid button-down with a solid-colored cardigan. You can also create a bold style by layering color-blocked tops or broad striped shirts under an open plaid shirt. Wear patterned shirts over skinny jeans for tall women for a classic, vintage-inspired look. This is one of our favorite practical tips for layering, especially in winter. When you have a pullover sweater made of a thinner material, you may be hesitant to wear it over a blouse because the buttons will pop through. Solve this issue by wearing a tank top between the blouse and the sweater. The tank top will “smooth out” the buttons, and it will keep you warmer than the sweater on its own — without adding unsightly bulk. We love this combination for the office and family gatherings. When you talk about fashion tips for layering fall and winter clothes, it’s easy to focus on tops. It is #sweaterweather, after all. But your lower half deserves some love, too! If you live in a really cold climate or you’re visiting one for the holidays, we recommend layering leggings under your jeans for tall women for added warmth. However, don’t get stuck on jeans and pants. If your collection of ultra-tall women’s clothing includes lots of skirts and dresses, pair them with winter leggings. Then, layer your leggings with knee socks, leg-warmers, and boots. Just because it’s getting colder doesn’t mean that your entire summer wardrobe should be banished to the back of the closet. A summer dress might seem like an odd item for fall and winter, but these dresses can add a welcome splash of color or lightness to your chilly look. Treat your summer dress as a long top — also a great fashion hack if you’ve got a little gap in your midsection because you’re not wearing jeans for tall women — and wear it over pants, a long-sleeved shirt and a stylish winter jacket. Then add boots to finish the look. Layering for fall and winter fashion is the perfect time for a Vest Fest! Vests are one of our favorite accessories for layering. They’re cute, they’re practical and they’re available in a wide variety of styles for different occasions. For a more formal look, layer a sweater vest under a blazer or peacoat. For something more fun and flirty, consider faux-fur over a chunky sweater or a sleek leather jacket. However you wear them, vests will make you look like a layering queen this season. Make sure your winter wardrobe of ultra-tall women’s clothing includes at least one.